Can you believe that it's that time of year again? Yes, it's time to sit down and recap the progress your students have made so far. But don’t let it fill you with panic! From well-structured examples to ready to use templates, we've selected some of the very best resoures to ensure that report writing is a manageable - and dare we say - enjoyable task. What are you waiting for? Editable templates, well-structured examples and report generator programs...what more could you want? Check out these tried-and-tested helpful resources, designed to make providing clear feedback to parents that bit easier. Under the new assessment governance and using feedback from staff, we updated our end of year report format. We used this format for all years. The colours represent the colours we use in school to help map pupils progress - these colours are also shared with pupils and parents so they can monitor progress too. The language also reflects that used by the DfE and STA. Please feel free to download and adapt as you wish. 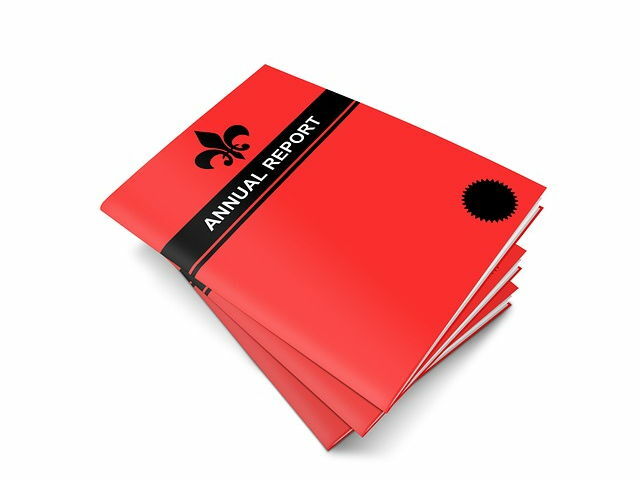 End-of-year report formats for years 1 to 6. Each report format has listed objectives specific to each year group and a space for personal comments for each subject (both core and non-core). All report formats are fully adaptable. This easy-to-use program will allow you to create reports quickly and efficiently. Enter the student’s name, gender, and select from a list of comments - or create your own. Then just click ‘Generate’ and your finished report is automatically copied to the clipboard. For the comments provided, Report Generator will also insert the correct pronoun (He/She, His/Her) for the gender selected. Once you have set up your own comments you can get through a class in minutes! Your comments are retained even after you quit the program. (Runs on Windows 7, 8/8.1 & Windows 10, but not MAC OS). This is a blank word format for report writing. It contains all the areas needed for the revised EYFS and information that needs to be shared with parents and Y1 teachers as outlined in the profile handbook 2013 You can add pictures and text. 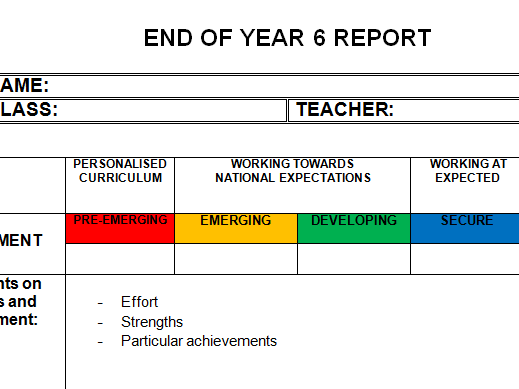 This is an EYFS report template used with my EYFS class to report to parents on their achievements at the end of the year. It is just a template so you can write as much or as little as you want into each box and adapt as necessary. When inspiration is yet to strike and you have exhausted searches for synonyms, comment banks can be a lifesaver. Rather than reinventing the wheel, why not take your pick from this selection of resources? Skills Based Report Comments, ideally for EYFS and KS1. Comments I have collected over the years all in one place. I cannot take credit for them at all - they are just ones I have found on the internet and copied onto a word document. Very helpful when writing reports! I hope this makes report writing easier for someone. Please review. The statements start with general report starter comments and attributes that could be commented on in general reports. Next, statements about attitude and contribution are grouped from very positive and positive to less positive comments. Here in Papua New Guinea, Reception refers to children turning 4 and Transition refers to children turning 5 in preparation for transition to their first year of formal schooling. Our curriculum is based on the UK EYFS. To make our report writing process easier, I have put together two banks of report comments that pertain to the EYFS outcome indicators (in parent friendly form). Love receiving the TESconnect newsletter here in Port Moresby. Kerry Honey Team Leader Early Learning Centre The Ela Murray International School Port Moresby PNG.